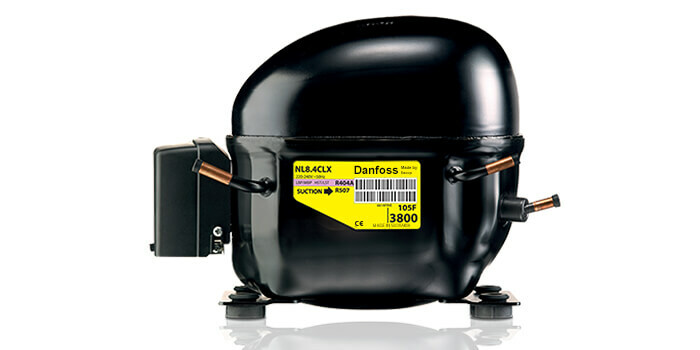 Cold room compressor is one of the components that is directly involved in lowering the temperature inside the chamber. It pressurizes the refrigerant which then leads to other events, eventually cooling the air inside the room. It is therefore important that the compressor is properly made so that it can complete its job accordingly. You can call us at +44 755 533 6292 if you have any questions about cold room compressor installations/manufactures. If you know what kind of compressor you need than you can head to our cold room installation section and we will send out one of our engineers to install a new one for you. We can install your compressor for you even if the rest of the cold room has already been installed. We will professionally fit your compressor so that your storage unit cools down without any problems. If you need a complete cold room, you can also use our Online Application to design it. The application is available 24/7. It allows you to design your desired cold unit with the size, temperature and type of door you need. As soon as your cold unit is designed and paid for, our manufacturer will receive the order and start producing it. The appliance might be picked up by yourself or we will deliver it by your request (extra fee). The cold appliance can also be installed if you need such service. Head to our cold room designs webpage and get 10% discount for paying online.